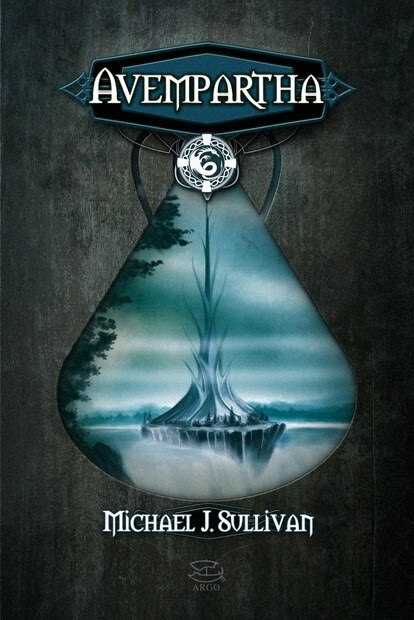 Michael J. Sullivan has already self-published the series in ebook and print-on-demand editions, and each volume has been prominent on the ebook fantasy bestseller charts. Born in Detroit, Michigan, Michael J. Sullivan has lived in Vermont, North Carolina, and Virginia. He worked as a commercial artist and illustrator, founding his own advertising agency in 1996, which he closed in 2005 to pursue writing full-time. He currently resides in Fairfax, Virginia with his wife and three children. 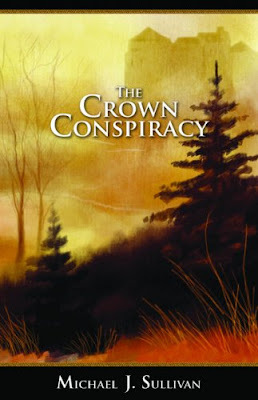 From book 1, The Crown Conspiracy, Michael has been methodically built his world and revealed his characters, and everything starts to come nicely together in The Emerald Storm. 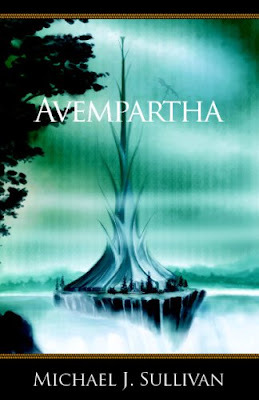 The book opens with an event I never expected to happen, which sends shock waves through the rest of the book (and, I’m sure, the two books to come, Wintertide and Percepliquis), and also sets the tone for the book. 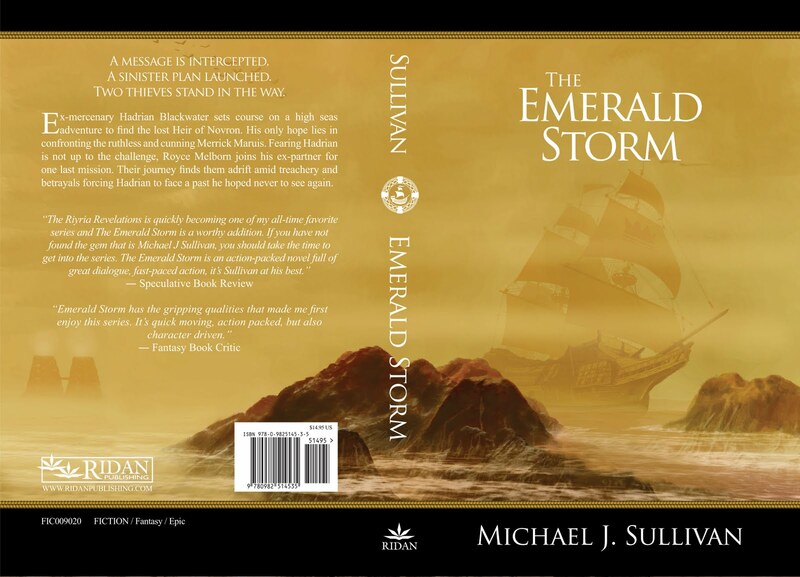 The Emerald Storm is an altogether darker and more intense novel than the other books in the series – our characters go though much more than they’ve previously been subjected to, which not only heightens the tension of the book but also reveals more about the characters themselves. Royce and Hadrian really go on an adventure in this book – they go through everything from working on a ship to plunging through a dangerous jungle to having to stop the complete and utter destruction of an entire city, and in this book we catch glimpses of a Royce that can make mistakes and can be hurt, and we also find out a bit more about Hadrian’s past; the characters gain much more, for and about themselves, in this book. 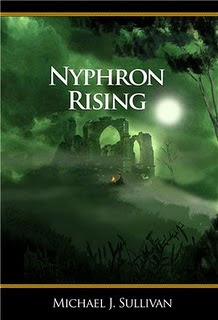 Arista, too, does a lot of growing, learning to settle herself even more comfortably in her skin even as she has to deal with not having Royce and Hadrian around to save or protect her, and the Empress begins to realize that she lives in a world where taking part is the only way to survive; I won’t be surprised if Modina becomes one of the strongest and most memorable characters of The Riyria Revelations. 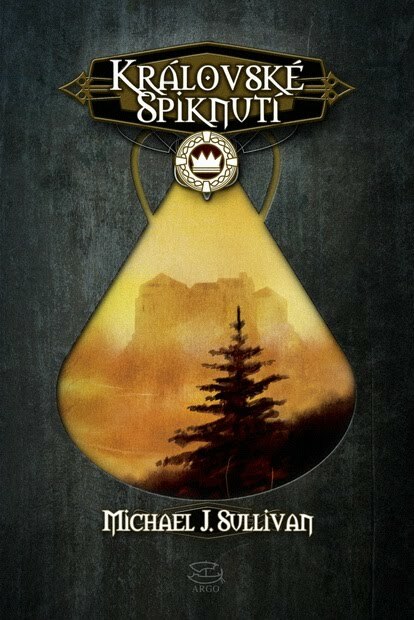 Michael also takes us to parts of his world that have previously only been mentioned, and manages to not only not bog down the narrative with descriptions and info-dumps, but keeps the pace of the story up, too, as well as giving us deeper glimpses into his characters and hints as to the direction the remaining books might take. The first chapter is not the only chapter that surprises and stuns – every arc throughout the book begins as a mystery and them steams ahead to the conclusion – a cliffhanger of such proportions that I’ve had to restrain myself from diving into Wintertide immediately (have got a couple of books I need to finish first!) . 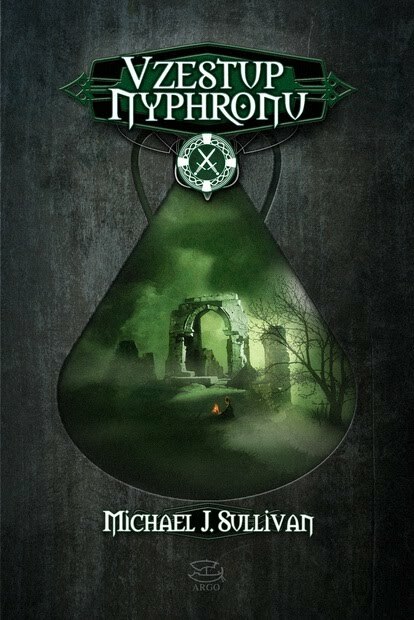 The Emerald Storm not only is a great addition to the series, upping the tension considerably and taking the characters in new, interesting and it-makes-sense directions, but it’s also a the book that begins to moves us toward the ultimate climax of The Riyria Revelations, which I’m really excited about!